Below is information on previous seminars. 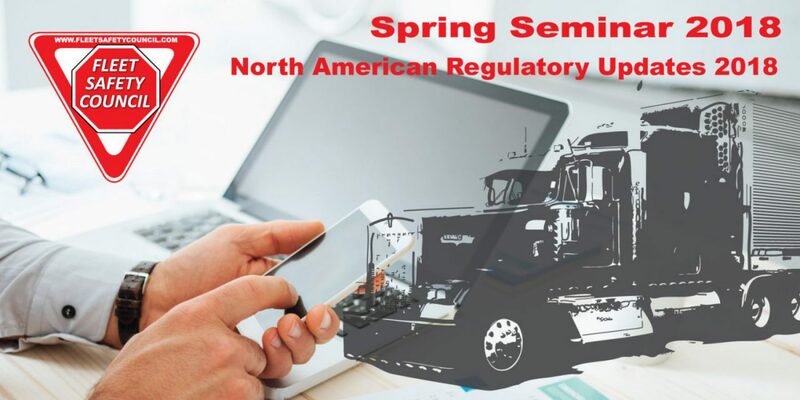 There have been many changes in the transportation industry over the last couple years and more are coming as technology, drugs and alcohol, and compliance requirements are changing the way business is done in today’s trucking industry. The Hamilton Niagara Fleet Safety Council is proud to announce their Spring Seminar for 2017 called “Transforming into the Future”. This seminar will focus on the many changes happening in the world of transportation. The topics being presented and discussed through an interactive panel include changes in insurance, communication, education, and equipment areas of the industry. Learn how to prepare for the future of the transportation industry and how to effectively manage the change. Have Your Policies Gone to Pot? only can we not get along without it, but rely on it so heavily it may now be becoming a distraction. The Spring Seminar for 2015 discussed the benefits and distractions of technology and how they may be distracting our drivers. A panel discussion from industry experts will be part of this year’s seminar along with a technology trade show. Does what your drivers say or do really matter? should they say? What should they do? Are the people investigating asking the right questions or could they be causing you a legal battle that will cost you millions? At any incident scene there is a pressure to say things or a need to help but are they putting your company at risk? What is said at an incident scene can change the liability for the incident if the wrong statements are given. Our upcoming seminar is addressing just those issues. Find out what that new truck driver involved in a incident is feeling at the scene. Find out how this scene plays out on social media and how does it influence the true facts. Learn what should be done at the scene as we recreate an incident between a school bus and a truck. Don’t miss this seminar that is sure to shock you with the results and gives you eye opening information that you will want to relay to your team immediately! Justice is Served and So is Breakfast…. displaying how a legal team may fight charges against the driver of a truck after the collision of a truck and school bus incident. pros and cons if using social media in the workplace and how it might be best used to recruit driver in the transportation industry. Panelists included Paul Curle, Nancy Dunk, Lorne Hoinickman, Lisa Kemper, Bruce Outridge, and moderator Mike Derry. This seminar talked about the new implication of the CSA system for the transportation industry by the Federal Motor Carriers Association in the United States. This system changed the way that many companies and drivers are being rated in the united States for violations and safety checks. Great program. Awesome job for everyone that helped out an attended. page which presents these kinds of data in quality?